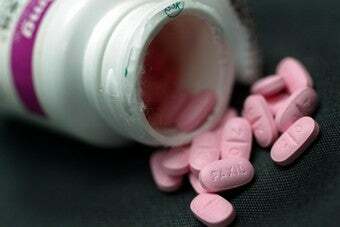 A new study has found that the benefits of antidepressants increase the more depressed a patient is, and that for those with mild symptoms, the drugs may be no better than a placebo. Pyschiatrist Dr. Erick H. Turner comments, "I think the study could dampen enthusiasm for antidepressant medications a bit, and that may be a good thing. People's expectations for the drugs won't be so high, and doctors won't be surprised if they're not curing every patient they see with medications." And while the news may reduce frequency with which doctors prescribe antidepressants, its more important effect may be to give doctors, patients, and laypeople a more nuanced understanding of depression. Psychiatry professor Dr. Gary Kennedy cautioned that "only six studies were used to generate the conclusion, and three of those studies used an antidepressant that few practicing physicians would prescribe nowadays." And others point out that just by participating in the study, patients were receiving a form of talk therapy, perhaps increasing the benefits seen by the placebo group. However, says Kennedy, "This is a major line of enquiry at present and offers the hope that we can prevent severe depression if we could identify the trajectory from minor to major depression." The distinction between minor and major seems key here, and perhaps the most interesting aspect of the study is its suggestion that a one-size-fits-all approach may not work for depression, and that cases of different severities should be treated differently. It's even possible, as Echidne of the Snakes suggests, that mild and severe depression are not just different levels of the same thing, but actually qualitatively different conditions. And while depressed people may share some symptoms with one another, the study hints at something that many have always suspected — that depression is profoundly individual, and that what works for one person may not work for another. So much of the recent debate over antidepressants has been black and white, either denigrating the drugs as Big Pharma cash cows or holding them up as a savior for troubled minds. The truth, the new study shows, is likely to fall somewhere in between. Hopefully this finding will spur more research into who really benefits most from different kinds of therapy, drug-based or not, and how patients can be screened to determine the treatment that's most effective for them.